Term has now come to end and many clubmen current and old are sitting by their log fires stroking those darbs so that they are in peak form to grow on Christmas Day. Chants of Sittampalam remain (despite anyone at circle having ever met the man); a record 157 German bombers were shot down; and Cheeky Fresh was again run this year, with 20 Fresh taking on the course. Circle in Week 5 saw us hit the heights of 57 people at circle with copious Old Boys returning to their old stomping ground. If any of you want to return next term let us know and we will try to sort out some tickets as it was great fun the times you came back this term. 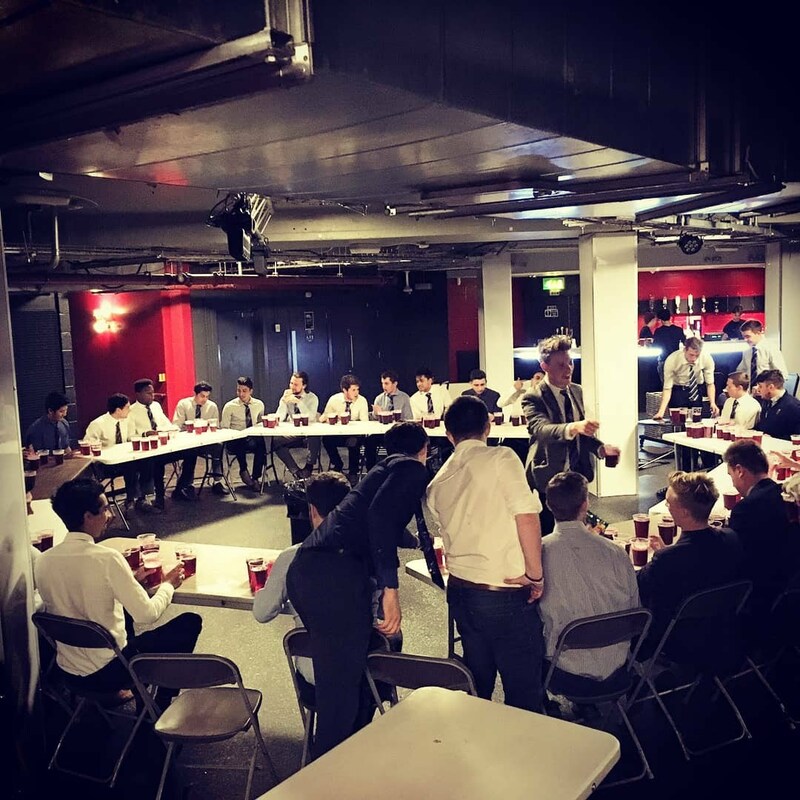 Since then we have also taken part in CMD (sadly coming second, but still beating Hockey, so winning really), raised £2,439 for Movember, and hosted the club’s first 24-hour 1-hand-1-bounce event in the piazza in aid of MIND. New chants have come and gone with the old classics still remaining and new gambles have been made. We also had one of the busiest weeks of the year in Week 8 of the term. Wednesday saw the return of many Old Boys including J-Money, Clayds, Kraus and Clobber for a large and loose circle, plus the first session of the Ashes was played in Rouge Bar with all the club who were still at Pop! watching. Then Thursday 12pm saw the start of our first 24hr event, organised by Tom Lawson (Choppy) this year’s Charity Sec. It led to many clubmen watching the 2nd day of the first Ashes test from the Piazza, with chicken nuggets and blue WKDs to keep us going, in what was a great event that raised £503.14 for MIND. The Saturday then saw cricket ball hit Victoria House once again. Thanks must go to Social Sec Joe Randall again here for getting it all set up and making sure the event ran smoothly. Before that, in the early afternoon UWMCCFC got well beaten 3-0 by some French fools, but that didn’t get spirits down as Cricket Ball turned out to be a great event with 13 Old Boys returning to haggle and scream at the quite useless Monty “Muggy” Panesar and his funnier agent Clive. On the cricketing side the BUCS Indoor team won 4/7 games with lots of the team playing in the competition for the first time. (See the president’s report here for more details on the activities in Term 1). 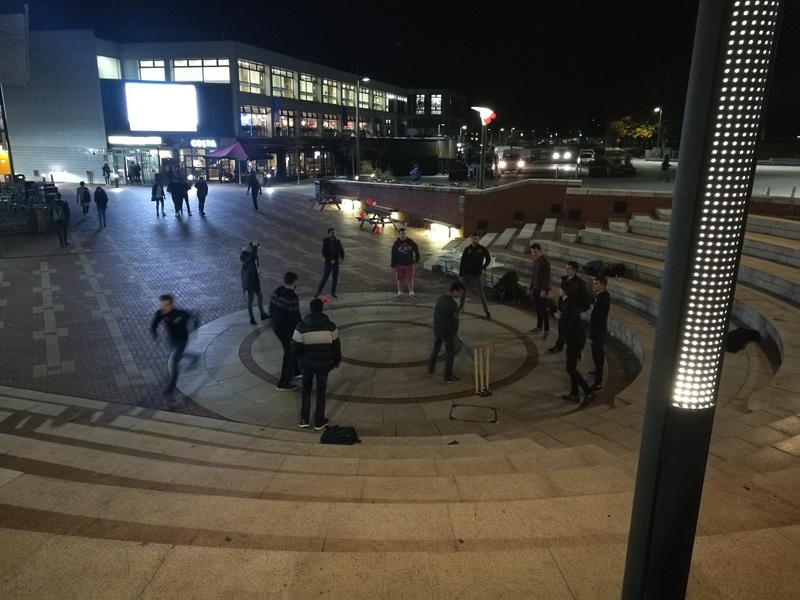 Extra sessions have been organised due to the large demand from over 50 friendlies players this year, with cricket being played on campus on every day next term except Saturday, due to the push to try and support the performance side of the club and ensuring we stay in Midlands 1A this year. We have added a list of the Clubmen’s tour numbers to the website here. Please could any Old Boys message myself or someone in the club, or even post in the Old Boys Facebook group, if they have any additional names and numbers to add to the list or any changes they would like to make to it. 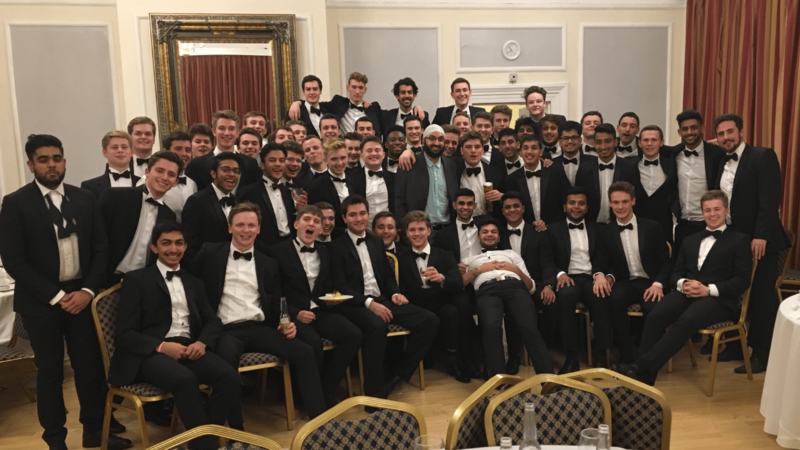 This year we are again planning on having an Old Boys Cricket weekend, where we can hopefully have a match or a few matches (depending how many of you are keen), between Old Boys and the current teams. We are aiming to have this on the Weekend of June 15th, with the matches being played on Sunday June 17th, please keep this date and weekend free if you can. We will get in contact about who would like to play nearer the time. We are thinking of having a golf day in Term 2 and hope to have a few Old Boys come back if you can. Details will be released and shared soon once dates and times have been sorted. Please also follow us on Instagram if you have it. Has been a useful tool in recent sponsorship agreements, so the more follows the better.